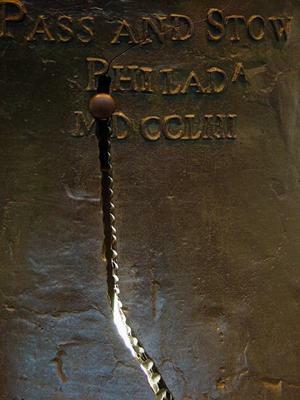 Historians argue over when the now-famous crack appeared on the Liberty Bell. What is known is that the final expansion of the crack that rendered the bell unringable occurred on George Washington's birthday in 1846. The bell never rang again, but abolitionists and others turned it into a symbol of expanding freedom in the 1830s and 1840s -- and a powerful symbol it has remained to this day.